I Was Anastasia is the latest release by Ariel Lawhon. This historical fiction novel reads like twin memoirs. 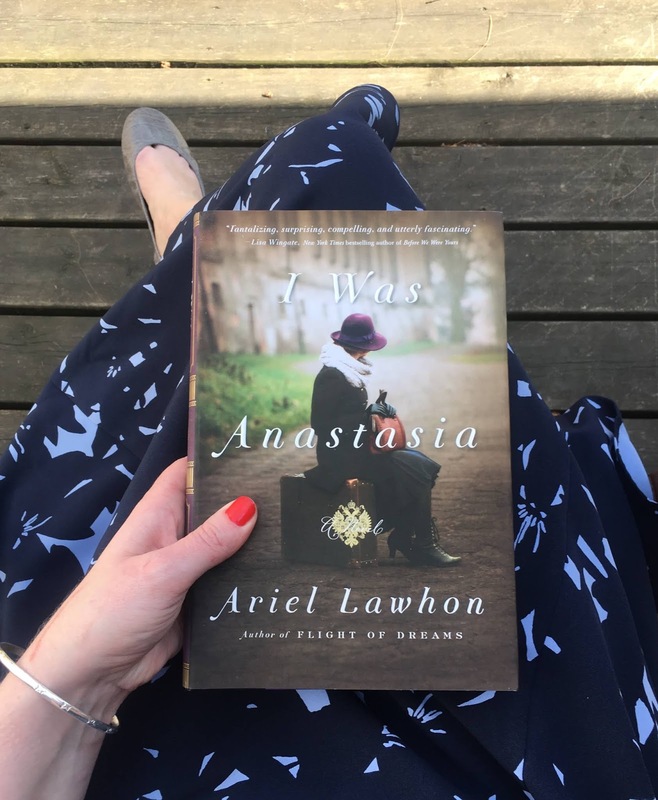 One from the perspective Anastasia Romanov in 1917 and 1918 and another from the perspective of Anna Anderson, the woman who claimed to be the missing Russian duchess. I knew nothing about the Romanovs before beginning this novel (Including in even which century this all happened! I had heard of the Romanvos but assumed this scandal/mystery was centuries old.) I also didn't know whether Anna really was Anastasia or not, which I think made this saga especially interesting for me to read. I won't tell you either, so you need to read the book to find out! I love stories told with dual timelines and perspectives, and what makes this structure unique in I Was Anastasia is that while Anastasia's timeline moves forward in a traditional narrative, Anna's moved backwards Momento-style, and they two timelines meet at the end of the book in 1918. I will admit, the Momento/backwards timeline takes a bit of getting used to, but it's worth it, so keep going! Ariel Lawhon writes beautifully and turns mountains of research into a gripping and fascinating historical tale. Even when I wasn't reading this book, I was thinking about it and carrying this puzzle with me. Was she really Anastasia? How was her survival possible? Importantly, the Author's Note at the end is 100% part of the reading experience for this book, so be sure not to skip it. I Was Anastasia reminded me of The Cottingley Secret by Hazel Gaynor. If you enjoyed the real-life mystery behind that story, you will probably really enjoy this one as well. I Was Anastasia is available wherever books are sold. You can connect with Ariel Lawhon on her website, Twitter, Facebook, or Instagram. Disclaimer - I received a complementary copy of this novel from Penguin Random House Canada for review purposes. All thoughts and opinions are true and entirely my own.